After the Peace Pi Festival, I took my colorful self to my daughter’s baby shower. She had white onesies that she wanted us to decorate and this was my contribution. I had to change the colors a bit because the fabric colors were not exact. 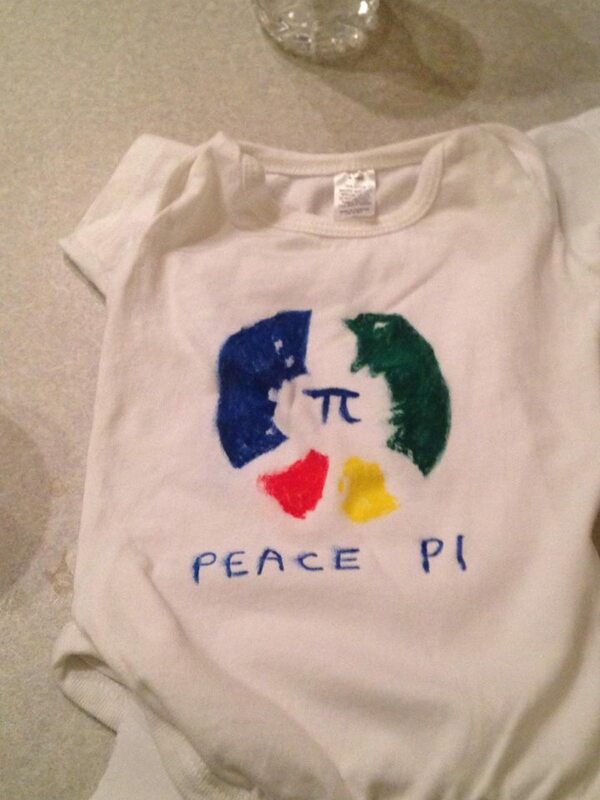 The soon to be Aiden will be be spreading Peace of his own.